On February 2015, a 19-year-old pregnant woman ingested abortive pills in São Bernardo do Campo, Brazil. She started feeling abdominal pains, so her aunt took her to hospital. After she was treated, her doctor called the police, saying he would autopsy the fetus if she did not confess to trying to abort. She was handcuffed to her hospital bed, and freed only after paying a 250€ bail.Denunciation by doctors is not uncommon in Brazil, Peru or El Salvador. 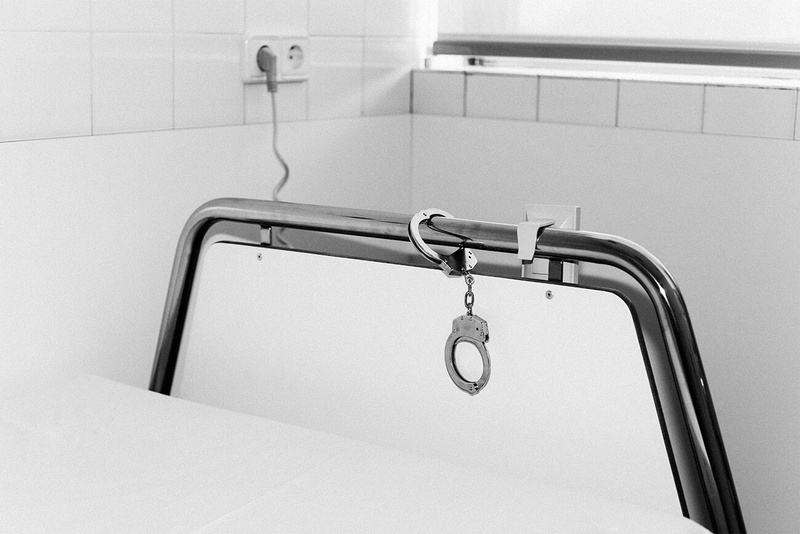 Women who are reported for attempting abortion can be detained in hospitals for weeks or months. Many doctors claim they are legally required to notify authorities when they suspect an abortion, in contradiction of professional codes of doctor-patient confidentiality. Today, safe and efficient means of abortion exist, yet 47,000 women die due to botched abortions, every year. Laia Abril‘s project On Abortion – both an installation and a new book – documents and conceptualises the dangers and damage caused by women’s lack of legal, safe and free access to abortion. As she weaves her net of questions around ethics and morality, Abril also creates a series of meditative visual and textual manifestations of the social triggers, stigmas and taboos around abortion that have remained invisible until now. On Abortion is the first chapter of Abril’s long-term project A History of Misogyny, visual research undertaken by using historical and contemporary comparisons. It was exhibited at Les Rencontres d’Arles in 2016 and published as a book by Dewi Lewis in 2017.